Ivor Rackham Photography | Limited Edition Print: "Sunrise"
Limited Edition large print, Approximately A3, of the image ‘Sunrise’ by Ivor Rackham. Shot at dawn and looking over the sea from the coast of Northumberland. 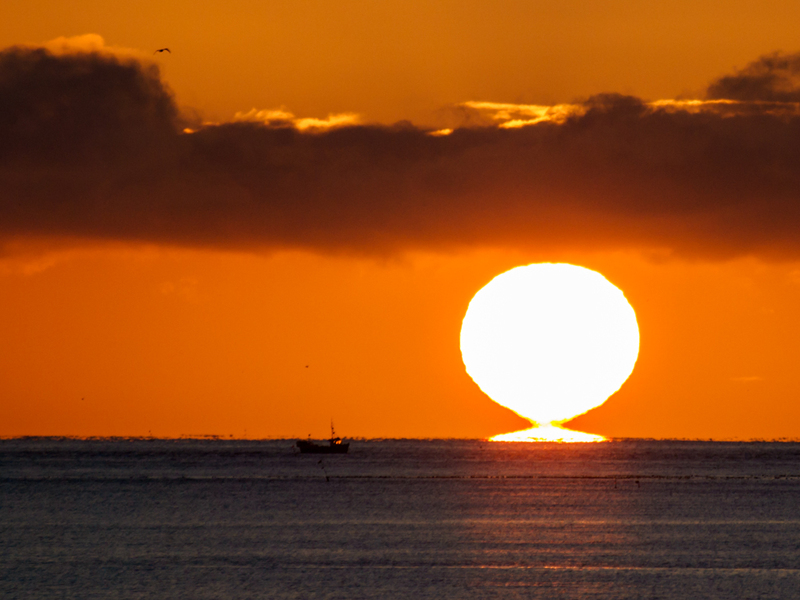 This unique image of the sun rising will bring light and warmth to your room. The photograph measures 16.5 inches by 11.7 inches; approximately A3. It is printed on the highest quality gallery class paper, in a 2″ plain black handmade wooden frame (other frames available on request). usually sold heat-mounted to prevent the paper warping and behind non-reflective glass, it is also available as an unmounted print. Larger prints of this image are available, please contact me for a quote. I restrict the print runs on all my large images. My reason for this? I believe that people deserve exclusive, contemporary and valuable photographic art. People want uniqueness, not only as an investment but also because it helps make their homes look fantastic. The print run limitation for this image is just 25 copies of A3 and above and that restriction makes my work sought after. Printed on the finest quality paper, Fuji Crystal DP II, I use an award-winning photographic laboratory. I usually supply my large prints in frames, therefore any risk of damage to the print during framing is mine. I use a top-quality professional framer for that work. Because of the high quality paper and print, I expect at least 80 years of life without degradation, assuming normal room temperatures and no direct sunlight. I supply a signed and numbered certificate of authenticity with this image and the price includes insured delivery anywhere within the UK. Read more about my work by clicking here.